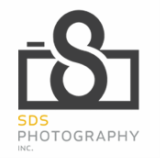 Team Picture Schedule - SDS Photography, Inc. If I had made an error in the game/practice times for your team, please have your head coach contact me. Please note the schedule is subject to change so check back often. Rain outs and game rescheduling may cause several changes in the schedule! Coach Hicks (Make-up Day scheduled for Beb 9th, see below). Coach Stanley (Make-up day scheduled for Feb 9th, see below). Coach Jones (Make-up day scheduled for Feb 9th, see below). Coaches: If you cannot make the times listed above, I will try to fit you in on this make-up day - Feb. 9th.